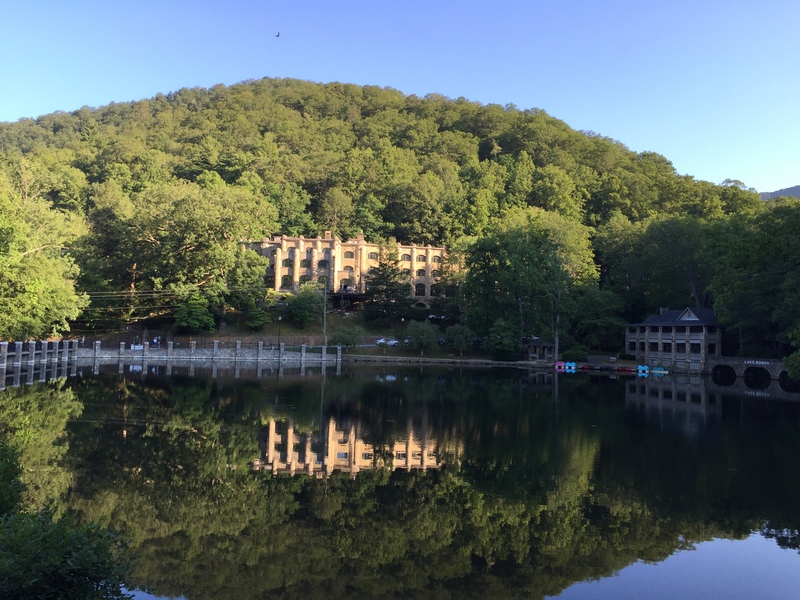 Previously, not once, but twice, I have written about what a special place Montreat is to me. 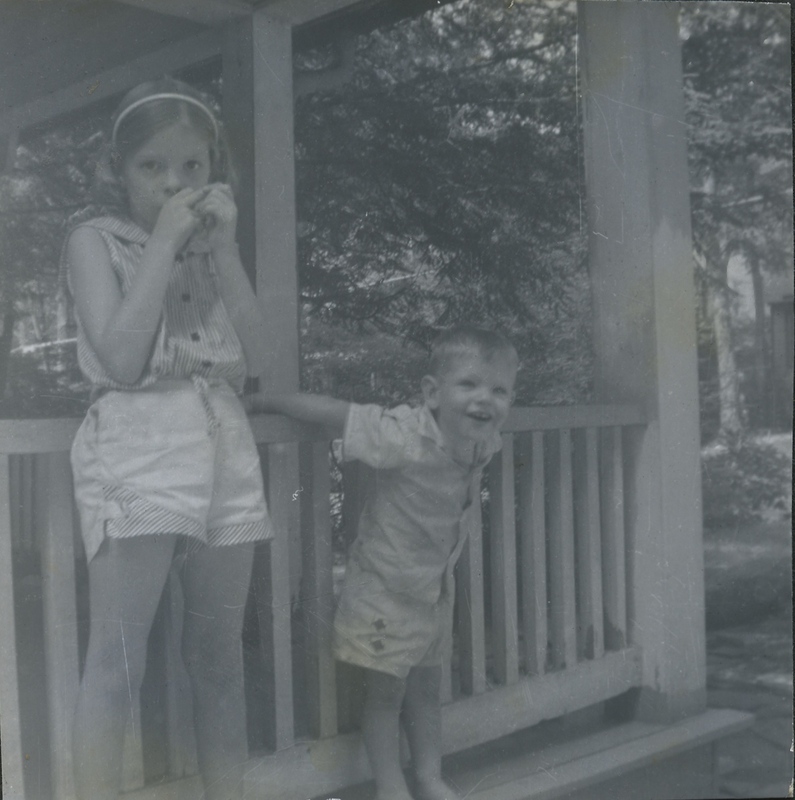 It was my parents who started coming here in the 1950s and my first visit was when I was just 2 years old. 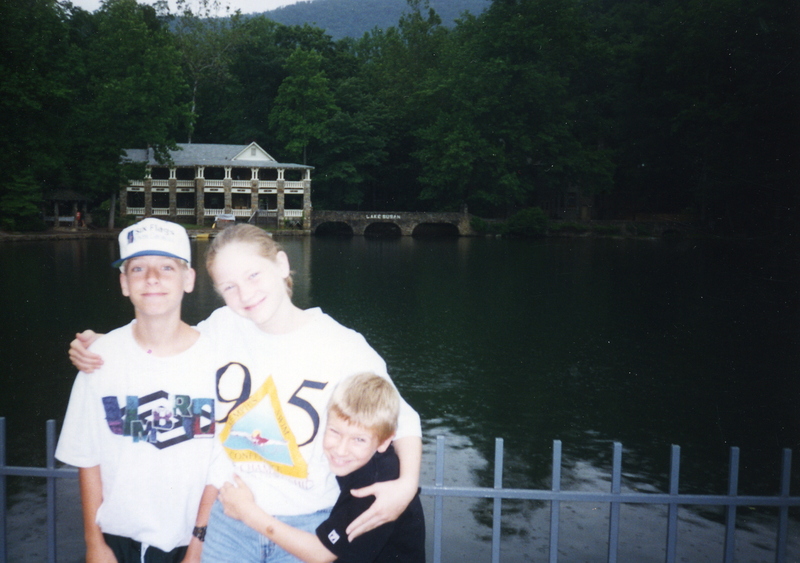 After my wife and I started our family, it was our kids who also accompanied us to Montreat. 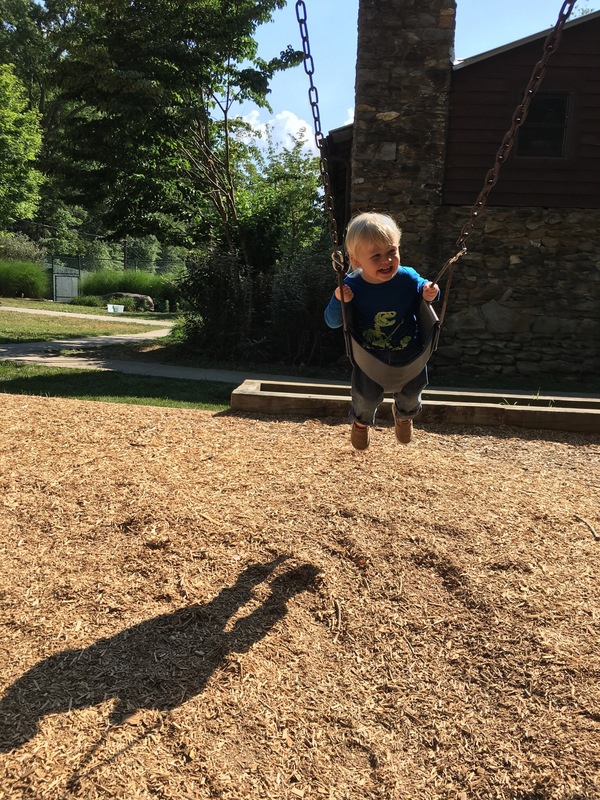 But this year, having recently turned 60, I enjoyed another treat in Montreat—introducing a fourth generation to this unique mountain retreat. 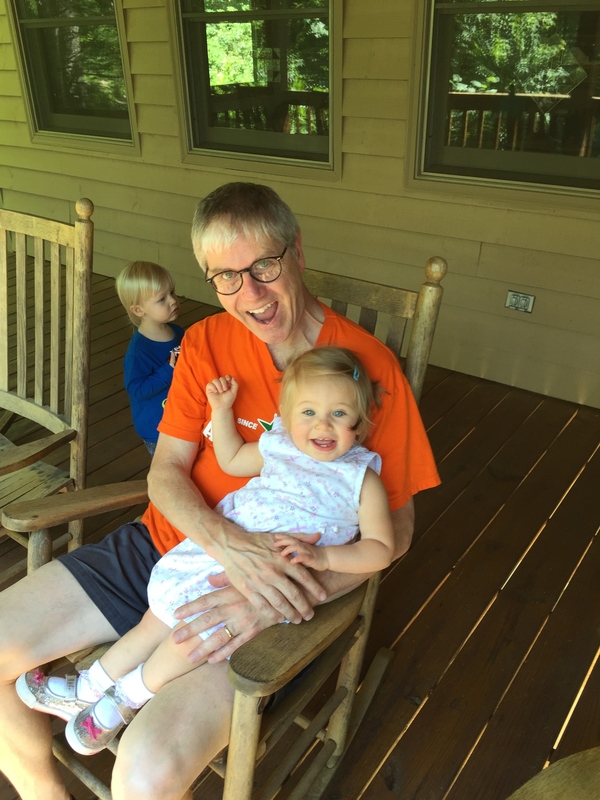 Thanks to my daughter and niece’s efforts, we had a family get together in Montreat and two of my three grandchildren were able to come. It was an event I had anticipated for well over a year and one that I had very much looked forward to. 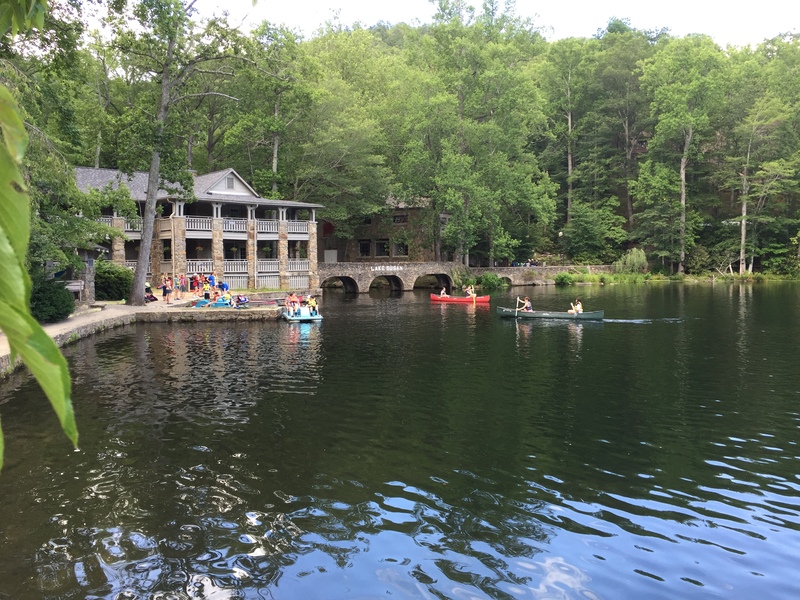 In advance, I had recalled all of the fun activities I had experienced growing up in Montreat and looked forward to sharing those with my grandchildren. It took travel from the east coast, the west coast and multiple points in between, for all of us to come together. 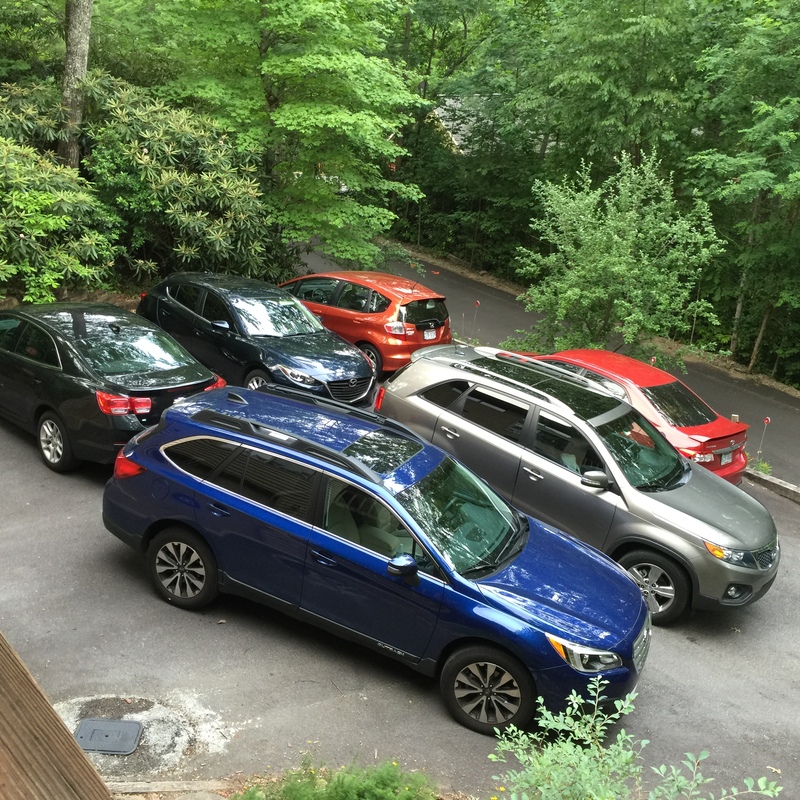 Even though not all of our family members could come, we had a total of 17 present in one large three-story mountain cabin. 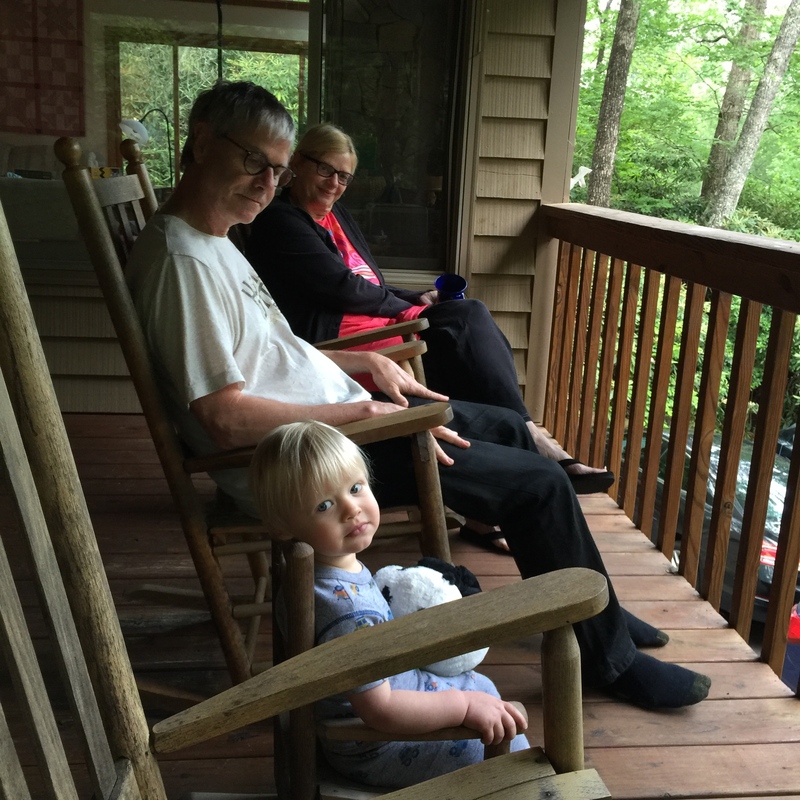 …and one grandchild size rocker. 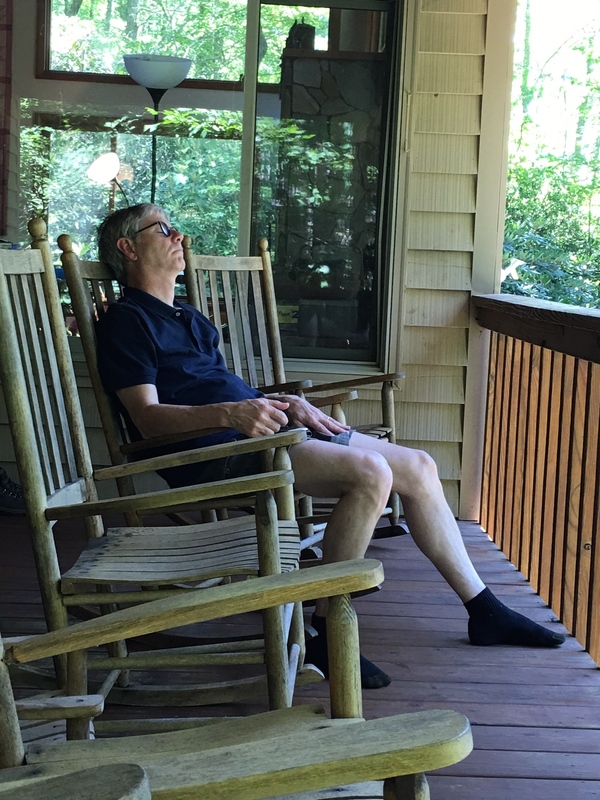 Later in the day, these rockers could even be used while napping. 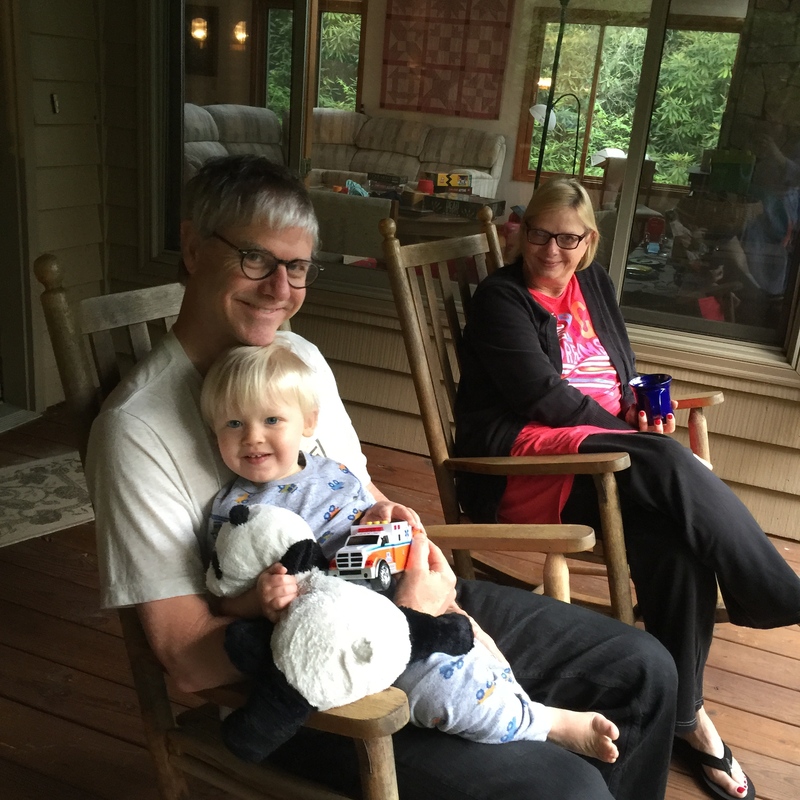 But my favorite use was holding one of my grandchildren and rocking away the time. 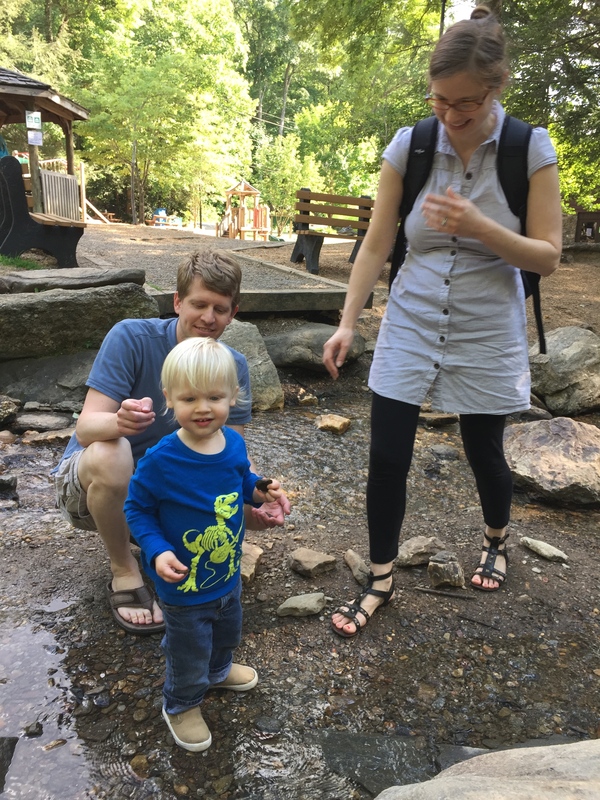 Another activity I had looked forward to was taking my grandson and granddaughter to the little park with a mountain stream running through it. There are swings there that allow you to swing out over the bubbling brook providing a wonderful background chorus to the laughs of delight of a small child. 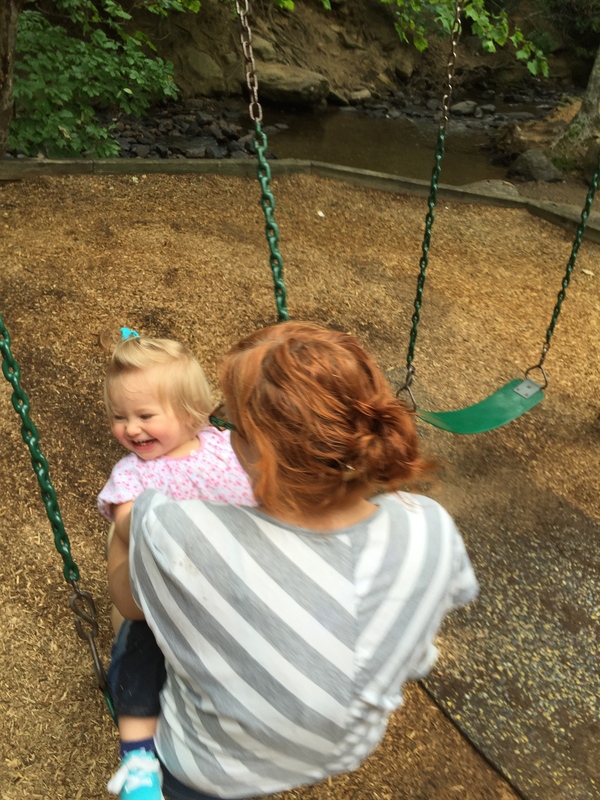 And even within earshot of these peaceful sounds, swings for toddlers offer exciting fun. 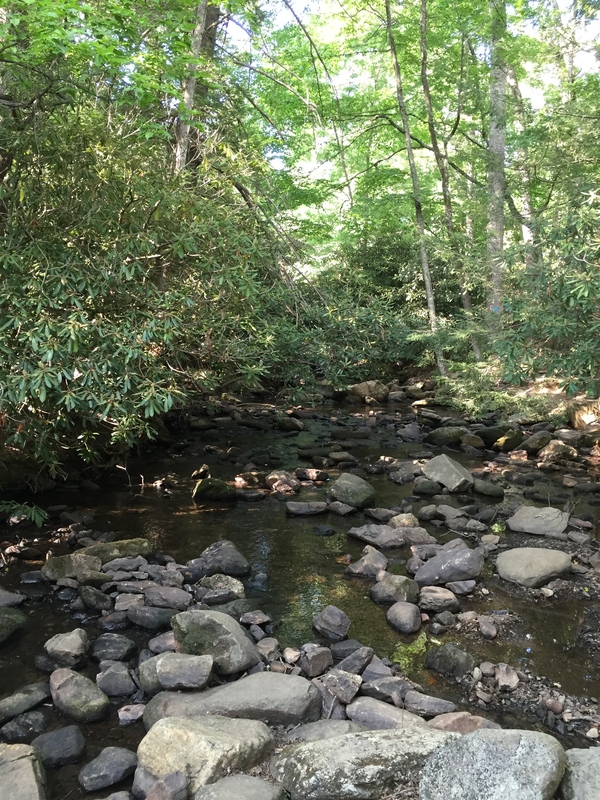 With the sound of the mountain stream like the Call of a Siren almost everywhere in Montreat, rock hopping in the frigid stream is another popular activity we did growing up. 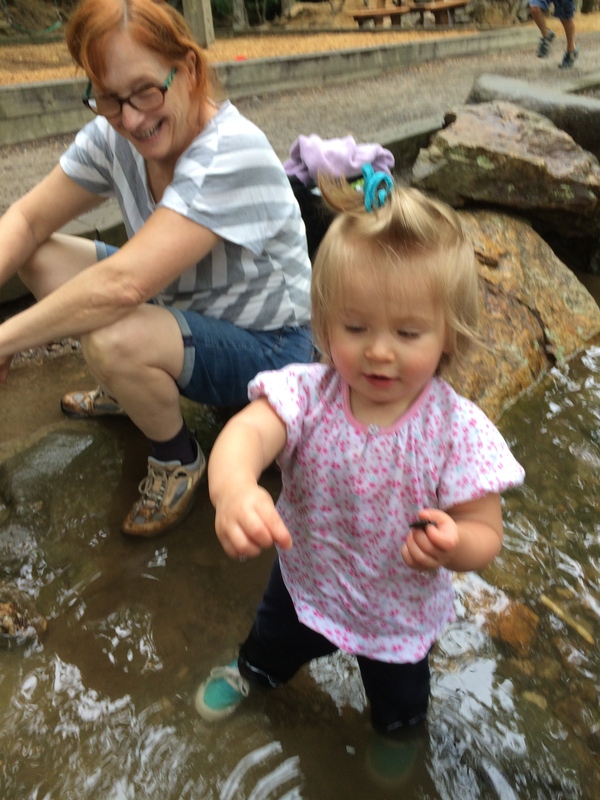 For two young toddlers, the stream in the park offered a perfect beginner’s course. While part of the challenge is hopping from rock to rock without falling into the icy water, sometimes it is more fun to just jump right into the stream and then fish for the smaller rocks in the water. 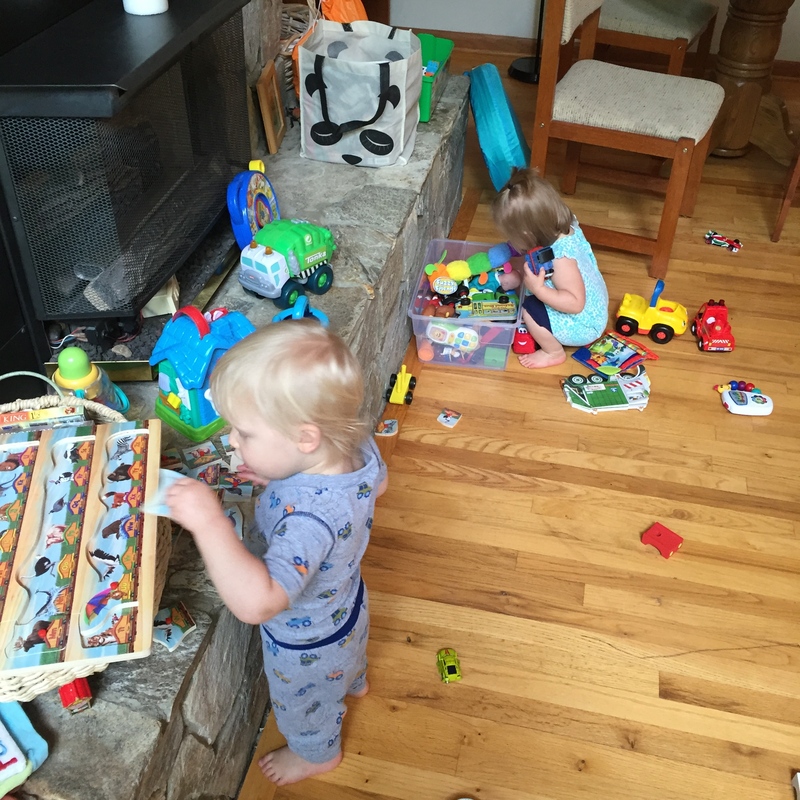 Thanks to my wife’s excellent preparations and packing, there was also lots of time for indoor playing with cousins. 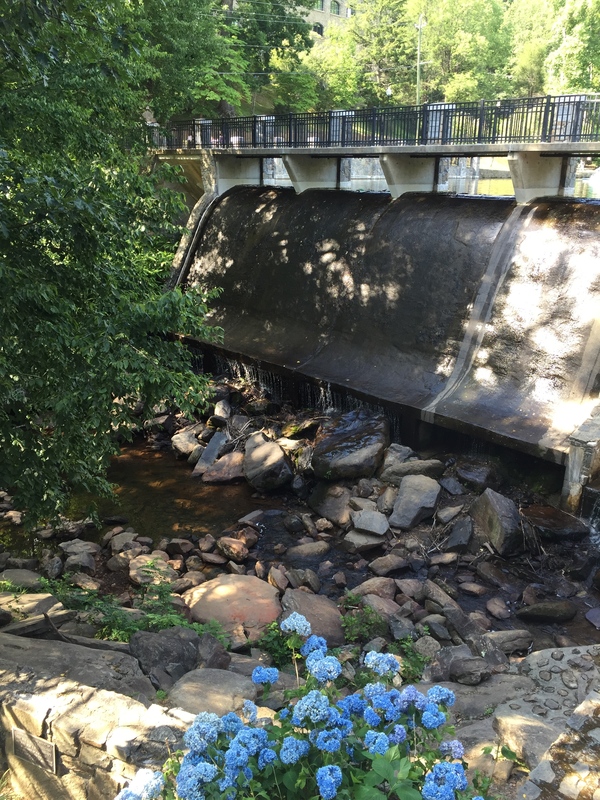 …fishing on the lake, making a craft at the craft center or just going for long hikes. 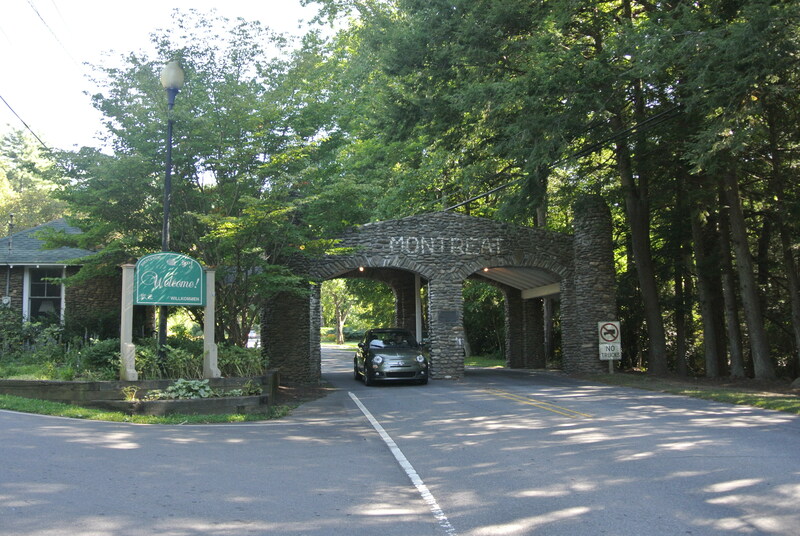 Last year as I drove through the near-century old Montreat gate, it was with excited anticipation of this trip in 2016 that consoled my leaving this special place. Sadly, our exit through the gate this year was preemptively marred by tragedy when a moving truck failed to heed the low clearance warning sign and disemboweled one side of the gate. 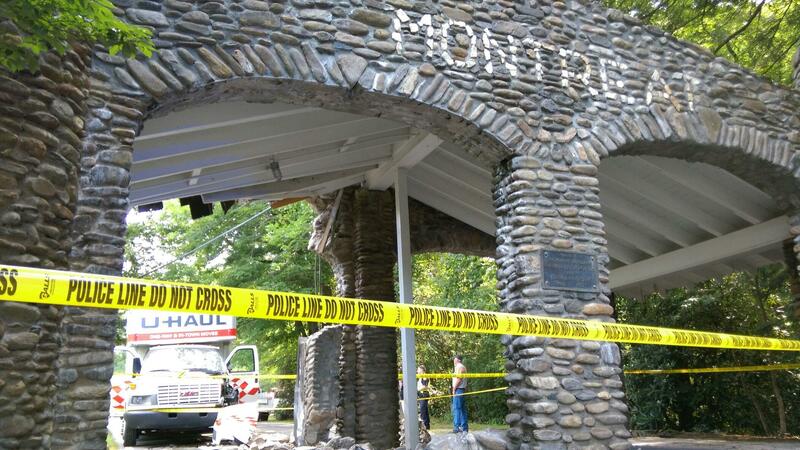 For my family alone, four different generations have ventured through this gate into the wonderland that Montreat is. 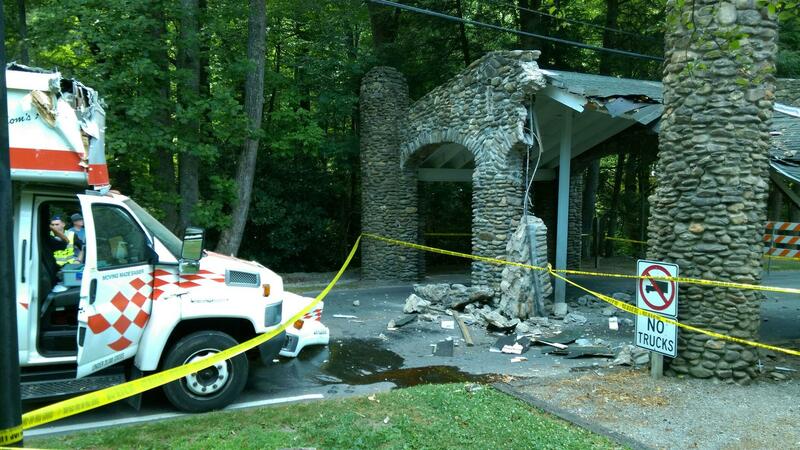 While it is painful to see the gate this way, it is hard to believe that this is only the first time this has ever happened. Hopefully, the gate will be built back just the way it was to greet us on our next visit to this special place. Yes, yes, yes!! Lots of new and old memories. Thanks Dave! I’m certainly glad we got together for this. And thanks to both our daughters for getting the ball rolling in that direction. So sweet! Thank you for making it possible, we couldn’t have done it without you! Great pictures, and I am looking forward to all the fun things we can do when the kids get bigger! I’m already looking forward to our next trip there. Thanks for prompting us to go! Yes. Wonderful memories. Has anyone yet seen the group pictures we took? Not that I know of but I was going to ask as I wanted to include it on our July calendar page.